Dumbo, Disney’s famed baby elephant, rides a bomb earthward on another of 30 Squadron’s Avengers. During the war, The Walt Disney Studios made over 1200 insignia for the US and Allied forces, many of which featured iconic characters, including Donald Duck. 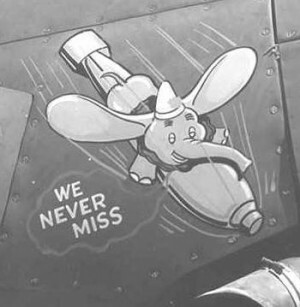 Disney characters were often painted onto the nose section of aircraft during this era. “Walt Disney’s “Donald Duck” was one of the most iconic and likable characters during the 1940’s,” says Klay Hall. “He was very popular amongst servicemen, possessing a feistiness with a “can do” attitude. He seemed like a natural fit for the Swamp Ghost nose art.”The history of Swamp Ghost, the airplane, is a unique one; no lives were lost in the crash. 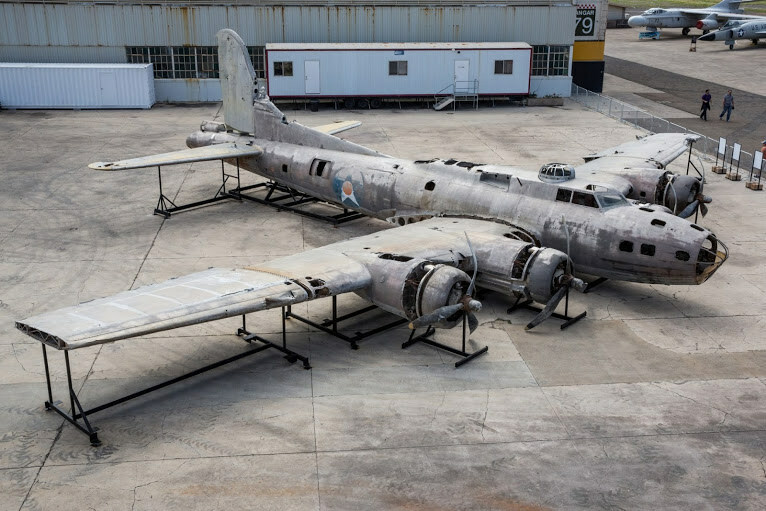 The plane, a B17 “Flying Fortress” ran critically low on fuel during a mission and had to be ditched in a jungle swamp in the Papua New Guinea area in 1942. All the men walked away from the plane unharmed. It was thought lost until 1972, when it was spotted by a Royal Australian Air Force helicopter, completely intact, resting in a swamp. 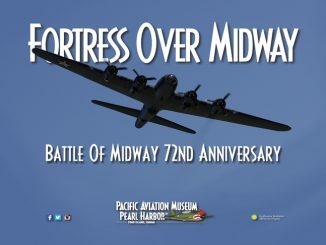 The plane never received an honorary name or piece of nose art (that usually happened after a few missions). 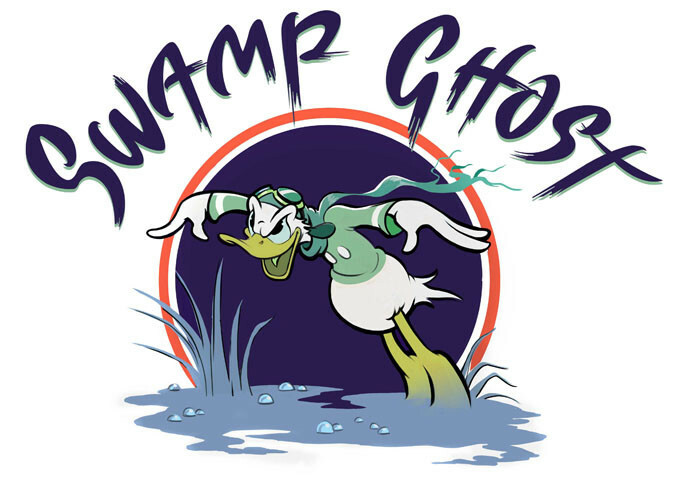 The plane gained the name “Swamp Ghost” because of where it was found. 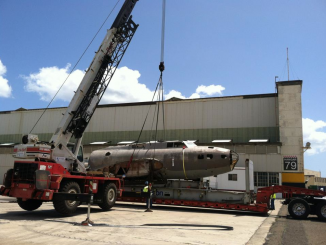 The plane was then carefully extracted from the swamp and ultimately moved to the Pacific Aviation Museum, where it has been exhibited in its “as is” condition since 2014. 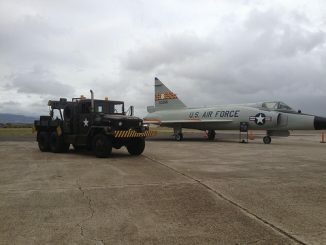 The exhibition of Swamp Ghost and its nose art joins a collection of more than 40 aircraft within the museum. Few know of the contributions to the war efforts of the Disney personnel. Thank you so much for your outstanding artwork. It is so appreciated by us all. Disney had a hand in well over about 2500 various military designs, some aviation, some ground units , but all usually very well liked, many were “Unofficial” but used by the units anyway , even some of the other countries had some , Canada, U.K. etc …………. They employed several artists to do the military emblems . But thanks to the artists for doing this – I’m sure they were the instigators of the idea (like their forebears were 75 years ago). You might be engaging in a bit of myth making yourself. While your comments about disney are interesting, they aren’t exactly fact based. Yes, he did meet with Mussolini, but persistent rumors of Walt’s alleged bigotry and anti-semitism have recently been debunked. 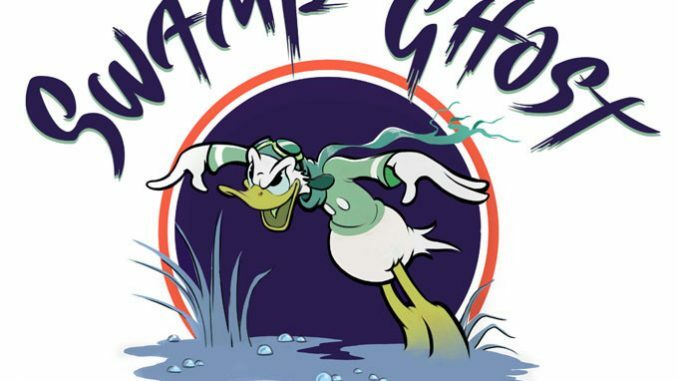 Kind of odd that they chose to use Donald Duck who wears a sailor suit on an Army Air Corps aircraft? Nothing against the Navy, but I would have gone with a different Disney character. I’d have gone with Jessica Rabbit, she has 1940’s Hollywood glamor and is sweltering hot like the jungles of New Guinea.